Improve the Results of the Process! 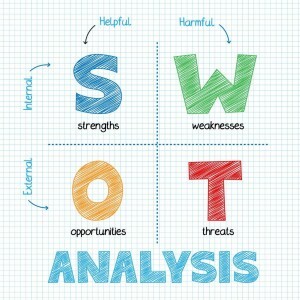 Too often SWOT (Strengths – Weaknesses – Opportunities – Threats) analyses are done by the top leadership only. Employees from throughout the organization are not involved in the process. But they should be! By involving employees in the SWOT analysis process, leadership can develop a better SWOT overall. Employees will have a variety of different perspectives of the organization – every employee sees the organization from their own viewpoint based on their own experiences. These perspective enable for a SWOT that is substantial and more realistic. Abudi Consulting Group works with a number of their clients to facilitate strategic planning sessions (of which SWOT analysis is part of the process) on an annual and, for some, a biannual basis. Here is one example of how Abudi Consulting Group facilitates employees participating in building the SWOT analysis at one of our clients. 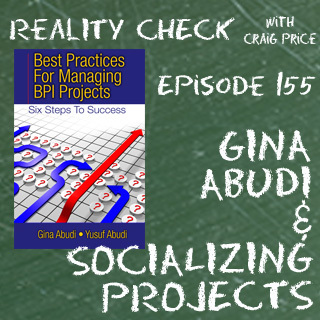 For one organization, about two months before the leadership team is going off-site to do strategic planning, Abudi Consulting Group develops a communication for all employees. This communication shares that the organization is moving into strategic planning and would like their input to the process. In a conference room reserved for the initiative, Abudi Consulting Group leads a number of focus group sessions to enable employees to share their thoughts around strengths and weaknesses of the organization as well as where they believe the opportunities lie for the organization and potential threats from their perspective. Additionally, within this room are flip charts labeled with STRENGTHS, WEAKNESSES, OPPORTUNITIES and THREATS where employees are able to come and go throughout the day and provide their thoughts. For those employees who are remote, Abudi Consulting Group leads virtual focus group sessions and has set up a collaboration portal where employees are able to share the same information that is being shared in the conference room with the flip charts. Regularly, we share photos of the flips charts in the room on the collaboration portal to enable those remote employees to see what is being shared by their fellow employees. Are you interested in learning how to better engage your employees in the SWOT analysis process and in strategic planning overall? If so, contact Abudi Consulting Group today to learn more about how we have helped a number of clients from a variety of industries improve their strategic planning process overall.